Our standard 1.00" custom medallion ball marker captures your logo in amazing detail with a rich finish. 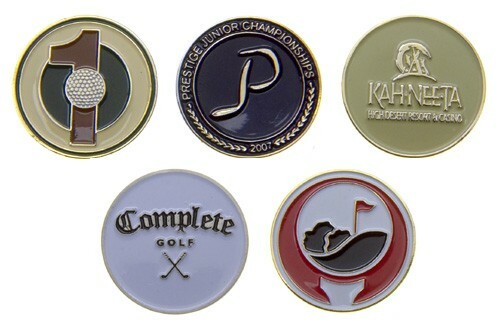 Each die struck, hand painted ball marker adds value to your presentation. Matte, antiqued, or polished brass or silver.